This XOXO diamond bracelet features 5.18 carats made up of 15 perfectly matched cushion cuts that are natural fancy yellow diamonds. They are matched in size, color, and luster. 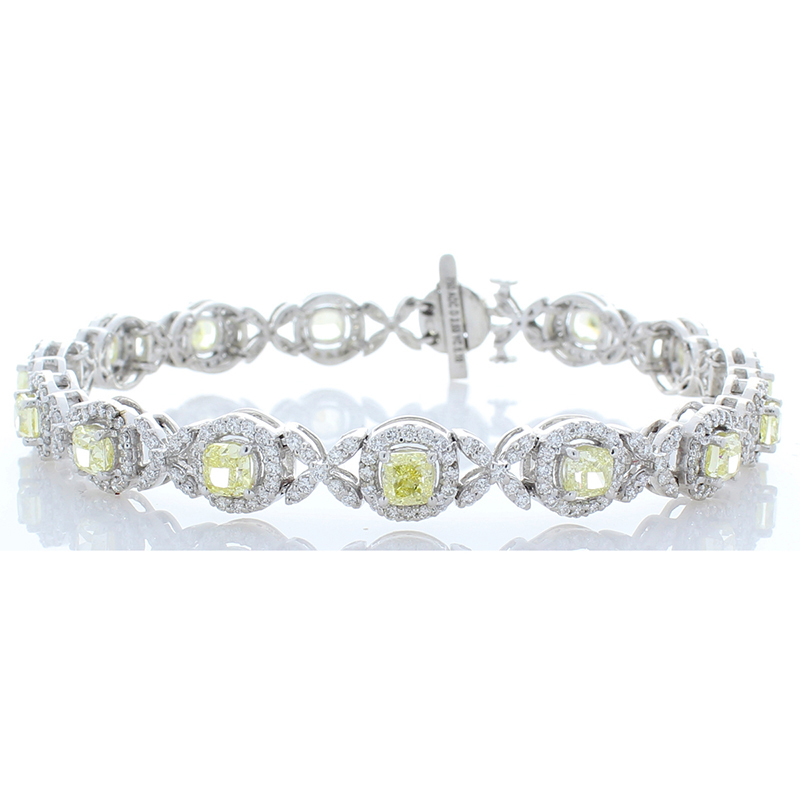 The color is lemon yellow and the clarity is VS. 2.59 carats from 375 round brilliant cut white diamonds adorn the square shaped links, prong set around each yellow diamond in a dazzling halo. Created in 18 K white gold, this beautiful fancy diamond bracelet closes securely with a hidden slide clasp and a fold-over safety latch for your convenience. It's elegant on its own or perfect for stacking with your other bracelets.